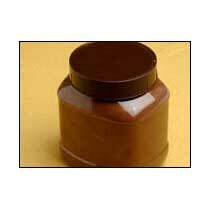 We are the prominent Plain Chocopaste Manufacturer, Exporter and Supplier in Andhra Pradesh, India. Our Plain Chocopaste is a semi-solid, smooth, consistent and homogenous chocolate preparation with a balanced taste of rich pure chocolate and milk. Our Plain Chocopaste is used in bakery products like cakes / pastries.